If you were hoping for Microsoft to release a new Xbox One Mini this October, you're better off saving your prayers. Head of Xbox Phil Spencer quickly dismissed rumors on Twitter noting the reports were "not real." Although the terse remark seems to put a definitive kibosh on any potential plans in the coming months, there's still a chance Microsoft will introduce a miniaturized Xbox One further down the line. It would make sense too given that the outgoing Xbox 360 went through three iterations in its lifespan. For the 360, the Slim and E models made the console smaller, more efficient and cheaper. Up until now, the so-called Xbox One Mini would have dropped the Blu-Ray disk drive, making the system quieter. 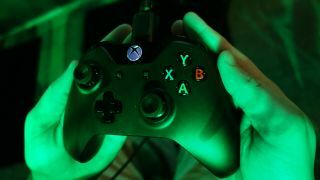 The rumored micro console would have also reduced the weight of the system by a third and likely helped cut down on the Xbox One's massive proportions.